J.A.C.K Chimpanzee Sanctuary » Blog Archive » Happy you, Coco! 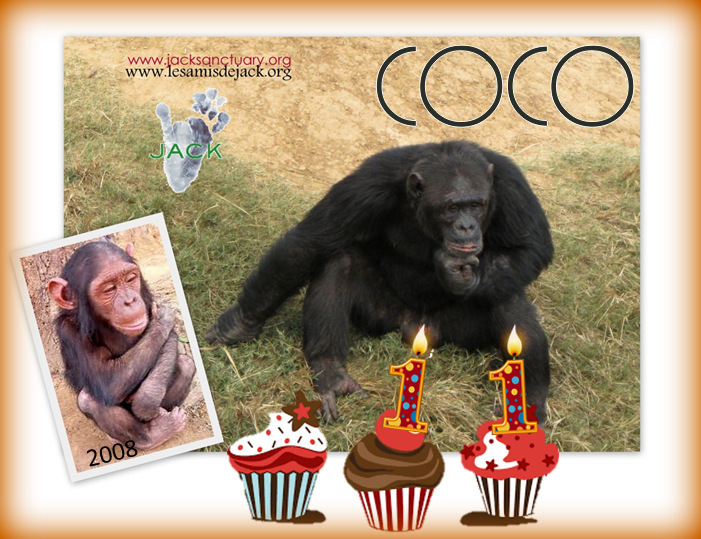 COCO IS BLOWING 11 CANDLES TODAY! We rescued him in 2008: he was the pet of high ranking authorities and it took us two years to have him in a group at the sanctuary… Today, Coco is among the “big boys” we take care of at the sanctuary! !